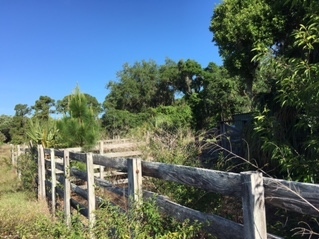 Around the Bend Nature Tours is owned and operated by Karen Willey and focuses on discovering the natural and cultural history of Sarasota and Manatee County. 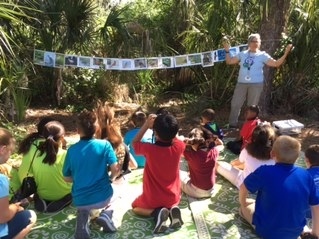 Professional guides help students explore the mangrove forest, net in the seagrass beds or discover the uses of ancient tools of Florida's indigenous people. Dip Net in the SeaGrass Flats - Collect, identify and release - we find small fish, crabs, shrimp and even sea urchins, sea stars and sea horses. Duette Wagon Tour - Discover the 21,000 acres of Duette Preserve from a covered wagon. With 2 naturalist guides you will learn the story of several ecosystems and maybe spot a scrub jay! Hosted by Manatee Fish & Game Association, this tour is Free! 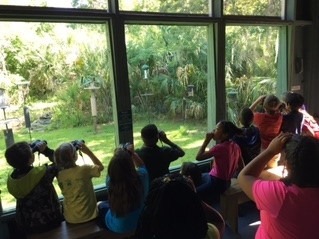 Birding Tours - With a professional guide even novices can enjoy bird watching with a pair of our Eagle Optics Denali binoculars on loan for the tour. Native American Tours - The whole family can try their hand at Native American technology with replica tools at Emerson Point in Palmetto. 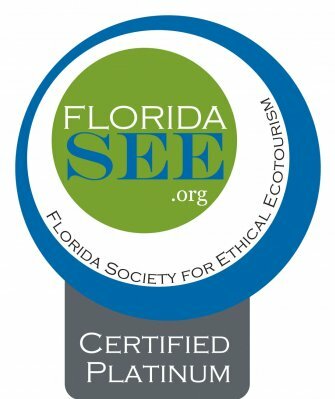 Around the Bend Nature Tours of Bradenton became the 10th Florida SEE Certified Operator in June of 2016 and the first certified ecotour in Manatee County. They qualified at the PLATINUM level, having met all CORE criteria of the Florida SEE Certification Checklist – a requirement for certification – and met 32 of 33 applicable BONUS criteria for an 96.97% rating. Teaches 7500 school children annually, providing lesson plans to teachers and lending dip nets, binoculars and replica Native American tools for students.